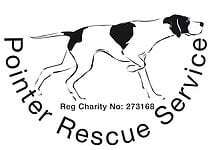 The association’s name is “The Pointer Rescue Service” (and in this constitution it is called the charity). The objects of the charity (the “objects”) shall be to alleviate suffering and distress caused to dogs, and in particular the breed known as Pointers, which may be ill-treated, abandoned or neglected. If the members resolve to dissolve the charity the charity trustees will remain in office and be responsible for winding up the affairs of the charity in accordance with this clause. The notice must specify the date, time and place of the meeting and the general nature of the business to be If the meeting is to be an annual general meeting, the notice must say so. If no quorum is present at the re-convened meeting within fifteen minutes of the time specified for the start of the meeting the members present at that time shall constitute the quorum for that. If there is only one charity trustee present and willing to act, he or she shall chair the meeting. The charity and its property shall be managed and administered by a committee comprising the officers and other members elected in accordance with this The officers and other members of the committee shall be the trustees of the charity and in this constitution are together called ‘the charity trustees’. The charity trustees may appoint any person who is willing to act as a trustee. Subject to sub-clause 6(b) of this clause, they may also appoint charity trustees to act as officers. Any charity trustee who has served for five consecutive terms may not be reappointed for a sixth consecutive term but may be reappointed after an interval of at least one year. (a) The appointment of a trustee, whether by the charity in general meeting or by the other charity trustees, must not cause the number of trustees to exceed any number fixed in accordance with this constitution as the maximum number of trustees to exceed any number fixed in accordance with this constitution as the maximum number of trustees. (b) The charity trustees may not appoint a person to be an officer if a person has already been elected or appointed to that office and has not vacated the office. to acquire, merge with or enter into any partnership or joint venture arrangement with any other charity formed for any of the objects. A resolution in writing signed by all the charity trustees entitled to receive notice of a meeting of trustees or of a committee of charity trustees and to vote upon the resolution shall be as valid and effectual as if it had been passed at a meeting of the charity trustees or (as the case may be) a committee of charity trustees duly convened and held. absent himself or herself from any discussions of the charity trustees in which it is possible that a conflict will arise between his or her duty to act solely in the interests of the charity and any personal interest (including but not limited to any personal financial interest). Sub-clause (1) of this clause does not permit a charity trustee to keep any benefit that may be conferred upon him or her by a resolution of the charity trustees or of a committee of charity trustees if, but for sub-clause (1), the resolution would have been void, or if the charity trustee has not complied with clause 21 (Conflicts of interests and conflicts of loyalties). The charity trustees must notify the Commission promptly of any changes to the charity’s entry on the Central Register of Charities. all investments held by or on behalf of the charity, is vested either in a corporation entitled to act as custodian trustee or in not less than two but not more than four individuals appointed by them as holding trustees who shall enter into a deed of trust setting forth the purposes and conditions under which they hold the said property in trust for the charity. The terms of the appointment of any holding trustees must provide that they may act only in accordance with lawful directions of the charity trustees and that if they do so they will not be liable for the acts and defaults of the charity trustees or of the members of the charity. The charity trustees may from time to time make rules or bye-laws for the conduct of their business. The charity in general meeting has the power to alter, add to or repeal the rules or bye­ laws. The charity trustees must adopt such means as they think sufficient to bring the rules and bye-laws to the notice of members of the charity. The rules or bye-laws shall be binding on all members of the charity. No rule or bye­ law shall be inconsistent with, or shall affect or repeal anything contained in, this constitution. GINA WILLIAMS, until after the conclusion of the first AGM after the date this constitution is adopted. DOROTHY TORRES, until the conclusion of the third AGM after the date this constitution is adopted. CAROL GOODLIFFE, until after the conclusion of the fifth AGM after the date this constitution is adopted. This constitution was adopted was the constitution of “The Pointer Rescue Service” at a meeting of the members duly convened on fourteenth day of August 2016.